As they rode, they talked. The two became high school sweethearts, and dated from sophomore to senior year. Kathleen smiled as she recounted the simple gestures he made, such as bringing a blanket for her on the cold winter car rides. “It just kind of grew from there,” she said. By Kathleen’s glowing account, they had a great time together in their teenage years. They had started as good friends — the foundation for a great relationship – but had become passionate about each other. Still, as many teenagers do, they explored different paths. He was into computers and photography, and she developed her interest in nursing. As time marched on, those activities sent them in separate directions. Kathleen needed to be at school different hours than Jon. Back then, vocational work late in high school meant time in the field, learning an occupation. Slowly, Jon and Kathleen drifted apart. 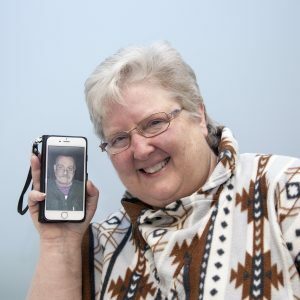 She pursued a career in health care. He enlisted in the military. It was 1977 when the couple last saw each other. Today, you may know Kathleen as one of the friendly faces at Cocoa Bean, serving up your favorite coffee or pastry. 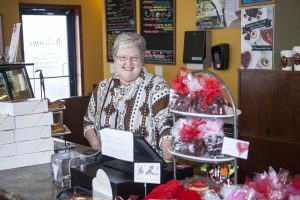 As we celebrate one of our favorite holidays at Cocoa Bean, Kathleen’s story is one we wanted to share. Because the story did not end with Kathleen and Jon saying goodbye. Jon was stationed in the Carolinas and later relocated to Great Falls, Montana. Kathleen has lived in Illinois all her life. Both married other people. Both built full lives. Both are now widowed. They had not seen or spoken to each other for all those 40 years – not even at a class reunion. Until last year. About five years ago, Kathleen and Jon found each other on Facebook. They chatted on and off again, catching up in bits on the decades between when they last saw one another. But the exchanges were brief, and scattered. Jon was still married. Sadly, about two years ago, Jon’s wife passed suddenly, Kathleen said. And about a year ago, the two began talking more. Jon plans on returning to Geneva in March, permanently. He needs to sell his house and settle his affairs in Montana. The couple is planning a September wedding. 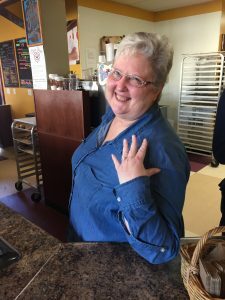 And then, Kathleen Huber will become Kathleen Love – a fitting end to a love story that has been 40 years in the making. We would like to take this moment to celebrate Kathleen’s story – and love and romance everywhere it thrives. 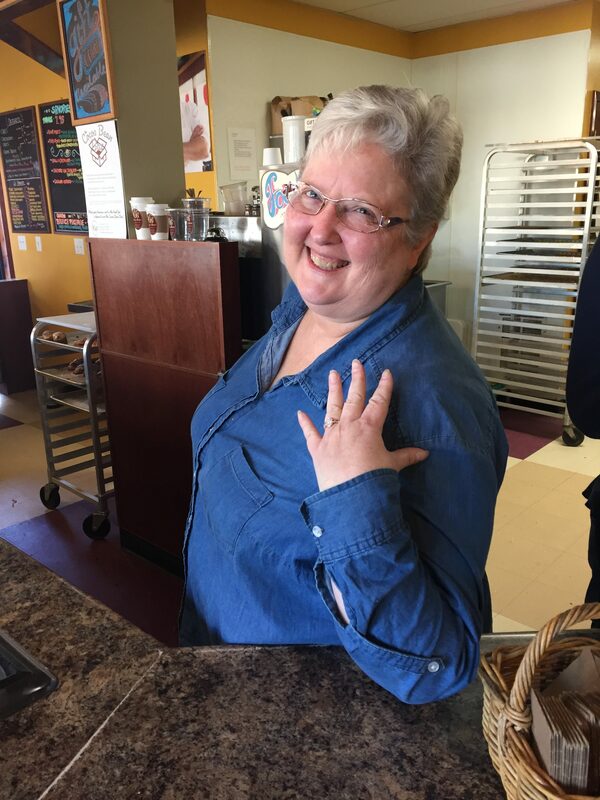 If you plan to stop in and make Valentine’s Day at Cocoa Bean a part of your special day, please take a moment to greet our own future Love – and congratulate Kathleen on her happiness!